The rent at Windsor Shores Apartments ranges from $785 for a one bedroom to a $999 two bedroom. Apartments in this building are about 16% less expensive than the Columbia average. This is a pet-friendly apartment. This apartment is in Columbia. Windsor Shores Apartments has a Walk Score of 26 out of 100. This location is a Car-Dependent neighborhood so most errands require a car. Nestled alongside Windsor Lake is a special 22-acre community that sets the standard for apartment living in South Carolina. Other luxury apartments may feature a superb location, quality construction or excellent amenities, but at Windsor Shores, you have that and more! The natural beauty of mature trees and immaculately landscaped grounds make your new home a daily escape from the ordinary. Explore how far you can travel by car, bus, bike and foot from Windsor Shores Apartments. 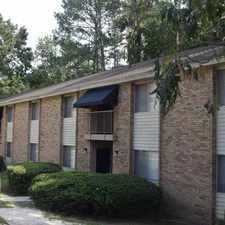 Windsor Shores Apartments is in the city of Columbia, SC. Columbia has an average Walk Score of 38 and has 129,272 residents. WOW! Don't miss this gorgeous home! JUST UPDATED! DON"T MISS THIS BEAUTY!